In December 2009, Mr. Abdul-Jabbar announced that he was diagnosed with chronic myeloid leukemia but that the illness would not stop him from leading a normal life. Cancer had already impacted his family through his grandfather, uncle, and father, so he was personally motivated to go public with his cancer to help others. With a newfound motivation in promoting cancer research, he became a national spokesman for Novartis and works tirelessly to raise awareness for all forms of leukemia. As an advocate for leukemia research, Mr. Abdul-Jabbar organized a team for the Leukemia and Lymphoma Society’s Light the Night Walk. “Team Kareem” not only raised funds for this organization but also brought national attention to the cause. He has participated in the “Stand Up to Cancer” campaign and helped raise $1.6 million for cancer research at the Barnes-Jewish Hospital in St. Louis. Since retiring as a player in 1989, Mr. Abdul-Jabbar has focused on socially-minded projects that encompass African American history and social and racial justice. He is an advocate of higher education having founded the Skyhook Foundation in 2010 to empower aspiring youths from diverse communities by combining sports and education programs. 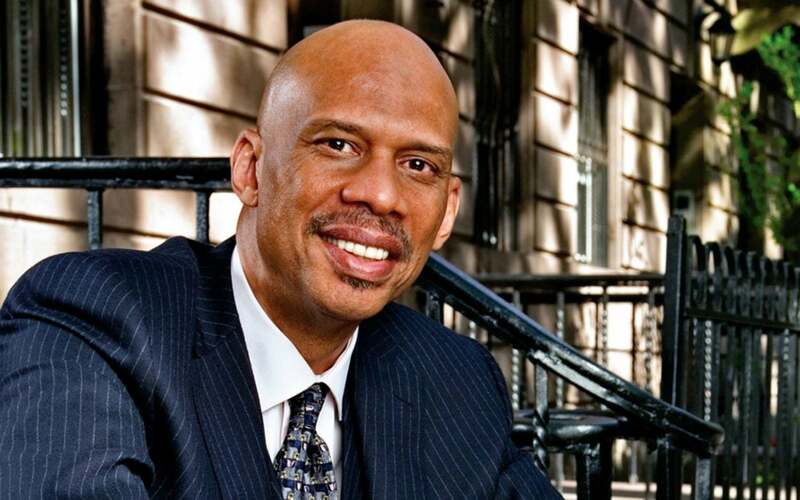 In June 2011, Mr. Abdul-Jabbar was honored by President Obama & Attorney General Eric Holder at the White House and presented with the prestigious Abraham Lincoln Medal recognizing his commitment to education, understanding and equality that exemplify the character and lasting legacy of President Lincoln. Mr. Abdul-Jabbar’s lifelong passion for history led him to write seven best-selling books including Brothers in Arms: The Epic Story of the 761st Tank Battalion, WWII’s Forgotten Heroes about an all-black armored unit in WWII that liberated three concentration camps. His New York Times best-seller On the Shoulders of Giants about the Harlem Renaissance was released this year as a documentary and teaching kit to high schools across the United States. His educational efforts continue with study guides developed in collaboration with the National Council for the Social Studies and Follett Corporation to teach high school students about the impact of the Harlem Renaissance and its leading figures in sports, music, literature and history.